Also available in Black, Green and Brown. 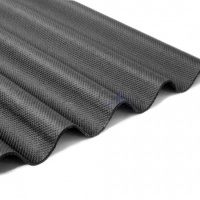 Corrugated Bitumen Sheets are ideal for use in agricultural buildings, sheds animal housing and industrial roofing applications. 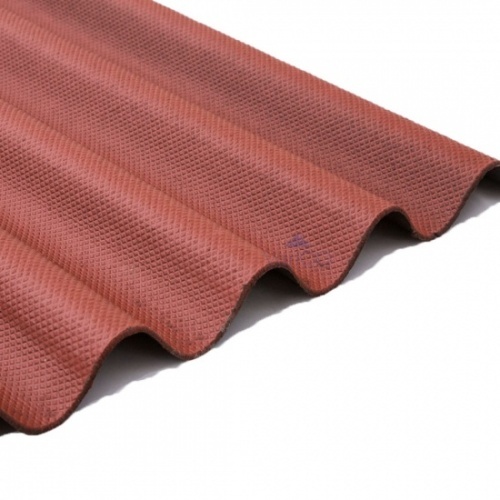 The sheets provide an excellent dimensional stability and in time develop a full intense colouring through the natural oxidation of the bitumen. 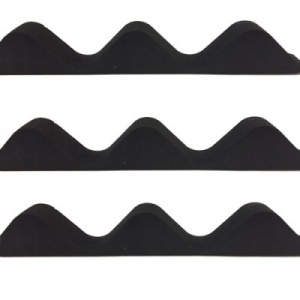 The sheets are extremely light and flexible whilst still incredibly strong. They are resistant to external agents and acids and are 100% asbestos free. 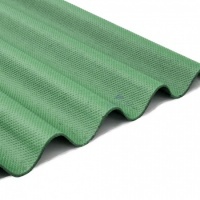 Sheets are supplied with a 15 year warranty covering the waterproofing of the product. Extended lead time of up to 10 working days delivery may be applicable on this product. Any pitch below 10 degrees should be boarded with an appropriate plywood or similar. 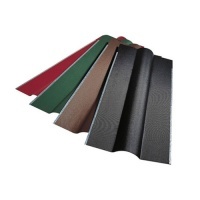 For pitches above 10 degrees the following batten spacings should be used. 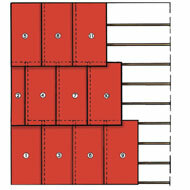 For a loading of 200kg/m² battens should be spaced at 460mm centres. For a loading of 350kg/m² battens should be spaced at 310mm centres. It is recommended to impregnate all of the timber that makes up the the supporting frame of the roof. 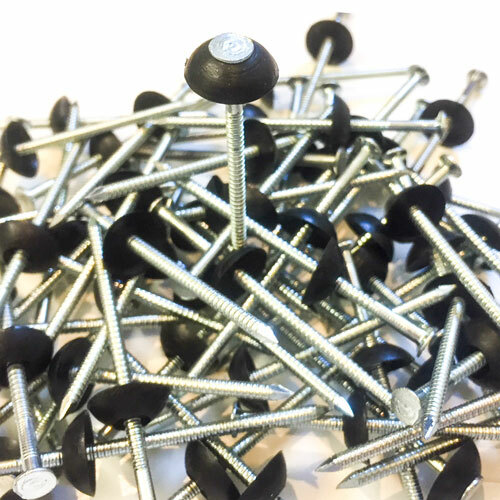 Sheets should be secured using our zinc plated bitumen fixing nails. Two rows of nails should be driven in parallel to the direction of the head and at each side of the sheet. 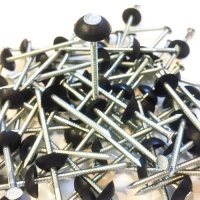 Nails should be driven in to the crown (the uppermost part) of the sheet. Subsequent rows of nails should be used every third corrugation. Sheets should be layer as per the diagram below. 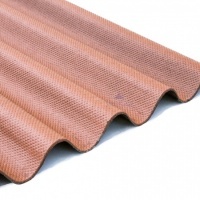 To ensure adequate roof ventilation, ensure the sheet ends are at least 50mm from the roof apex. This will allow air to pass through the eaves, through the bat tern cavity and up to the rooftop. This constant flow of air will avoid the formation of mould and mildew and help control condensation.